Open Mon-Fri 12-3pm and 6-11pm, Sat-Sun noon-11pm. All major credit cards accepted (not Diners). 10% service charge. 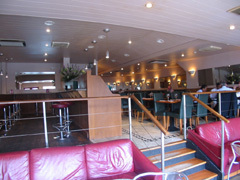 Cafe Cafe offers a broad Modern British menu, drawing on influences from around the world alongside classic British dishes.